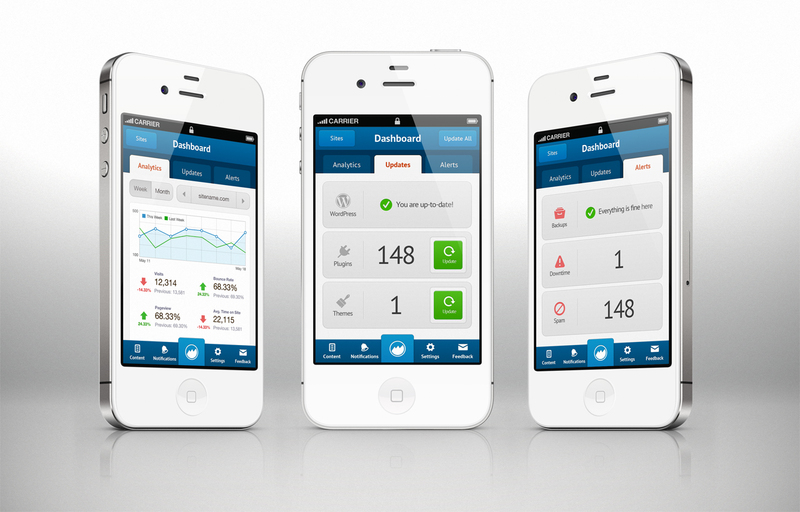 ManageWP for iOS Progress Update, And It Has A New UI Design! 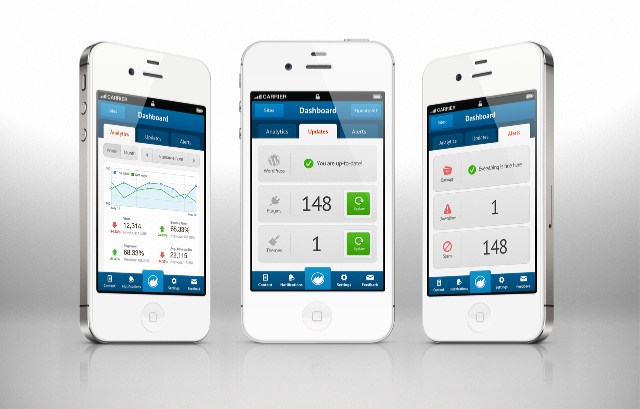 For those of you who are craving ManageWP for iOS: we’re hearing you loud and clear. 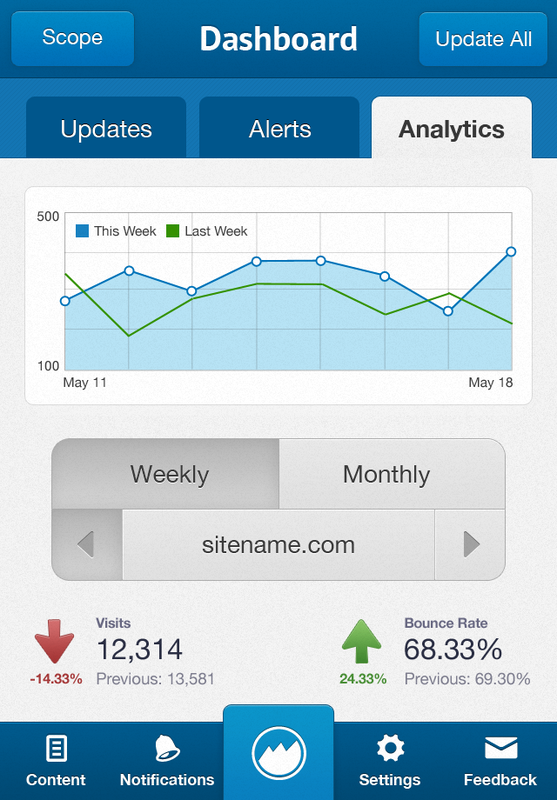 Our developers are hard at work, and they’re producing an incredible mobile experience for ManageWP. We’re proud of the progress so far, and we can’t wait until all of you can enjoy our hard work. The next few weeks will be very interesting for all of us. There’s a new UI design. You probably noticed it if you looked at the leading image for this blog post. If not… look up. See it? Click on it for maximum awesomeness! Yes, it’s different than what we thought the iOS application might look like initially. Quite different, in fact. Our latest version — which is subject to change — of the iOS application features a cleaner, sexier look, an updated UI design, and perhaps one or two other cool new things that you might notice if you look close enough. We think that all of these changes are for the better, and we hope this will ensure that all of you, our incredible users, will be able to manage their WordPress sites no matter where they are. So, tell us, what do you think? I love WP-Manage by the way, it’s a great tool although a bit pricey for a 1-man web designer like myself to get the best option… and neither of the others really appeal to me. I only work with WordPress these days, so it’s a great tool for me. I’ve been using WP-Manage for a couple of weeks, and it’s a fantastic tool… if I can figure out a price where it would appeal to many of my clients, I’d definitely upgrade -0 I can see me using this site for years and years to come. Looks good but I need the Android version and possibly the ipad version as well. thanks for creating this! Will there be an iPad version? Very Nice, i was wondering about this last year, I cant wait! Can’t wait to have such a nice app to manage everything on the go.